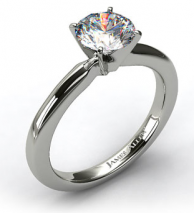 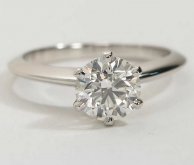 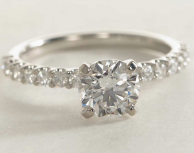 This solitaire engagement ring is beautiful in its elegant simplicity. 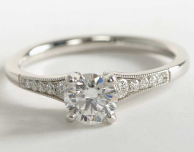 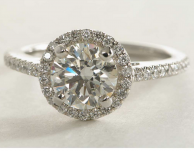 The 18k white gold setting lends all attention to your center diamond, held secure by four platinum prongs. 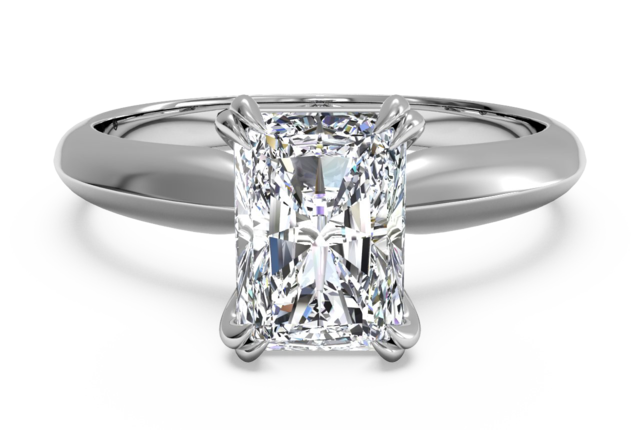 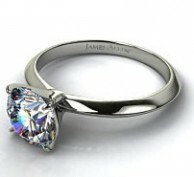 This ring can accommodate a diamond of any size and shape.